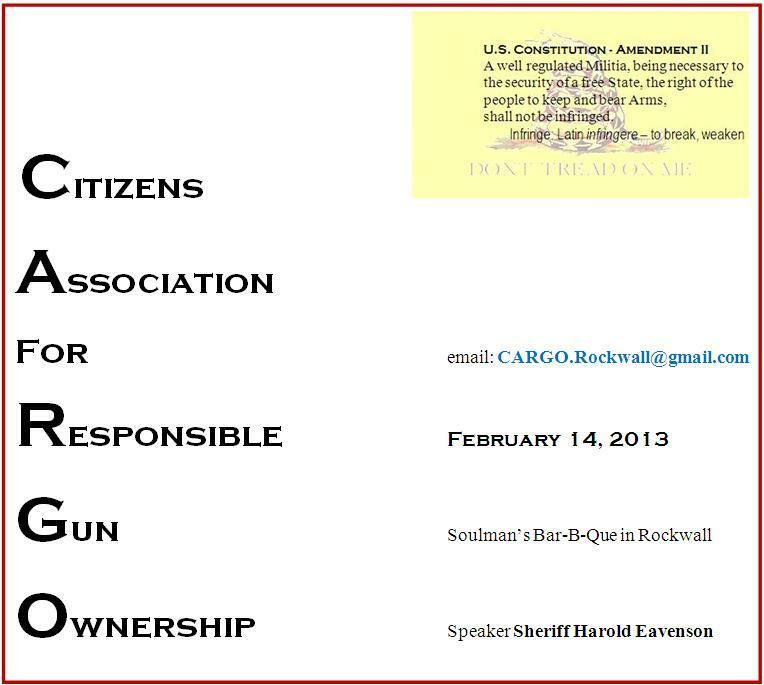 Rockwall County Sheriff Harold Eavenson, recently back from the National Sheriffs Association meeting in Washington, shared with CARGO Rockwall (2/14/2013) the following resolution from the association. NOW, THEREFORE, BE IT RESOLVED, the National Sheriffs’ Association supports the rights conferred by the Second Amendment and further recognizes the ultimate authority of the courts in interpreting the scope of those constitutional rights. Sheriff Eavenson spoke plainly and boldly to the underlying issues affecting criminal and mental illness in our contemporary society: we are fast becoming a God-less people out of touch with our foundations and our history. 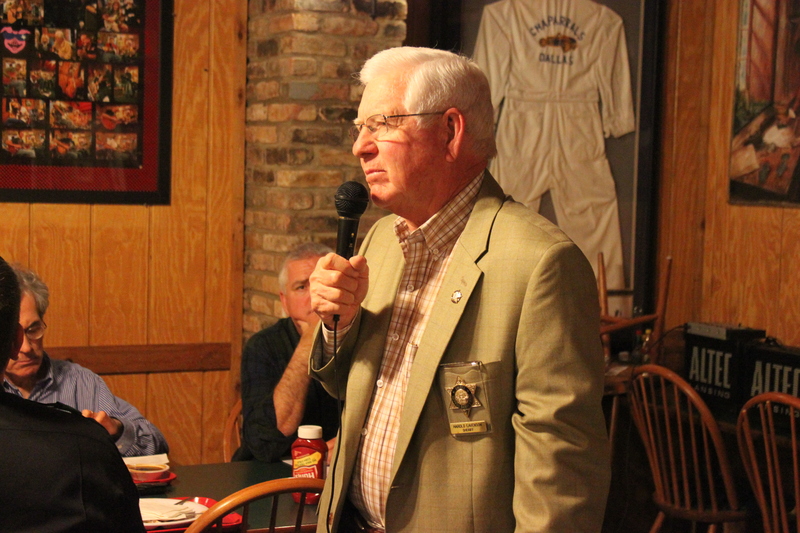 We are thankful for Sheriff Eavenson’s honest and forthright presentation and the way he answered questions from our CARGO Rockwall members. Ours is a republic, “if we can keep it“. What is a republic? By definition, a republic is a form of government in which the people or their elected representatives possess the supreme power. Our Founders Fathers arranged in order of authority the duties of the three branches of government, their respective jurisdictions in the first three articles. To learn who the boss is, ask who it is that can fire you. A simple reading of the Constitution oulines this chain of authority: (1) We the People; (2) Congress; (3) President; (4) Federal Court system. How so? Congress can fire (impeach and remove) presidents and federal judges. The president cannot fire legislators or judges. We the People can fire our elected respresentatives and senators by means of regular elections or recall elections. Therefore, We the People hold highest and broadest jurisdiction, Congress second. Your individual votes bear great power and personal responsibilty. All your comments are welcome where provided below.